French, known for Art-Deco dancing figure painting, caricatures, illustration, camouflage. Born in Tours, France, Charles-Felix Gir was a noted painter, watercolorist, sculptor and illustrator. He was married to Jeanne Fusier-Gir, a well-known actress, and they attended the Paris Opera every night for 17 years where she performed. 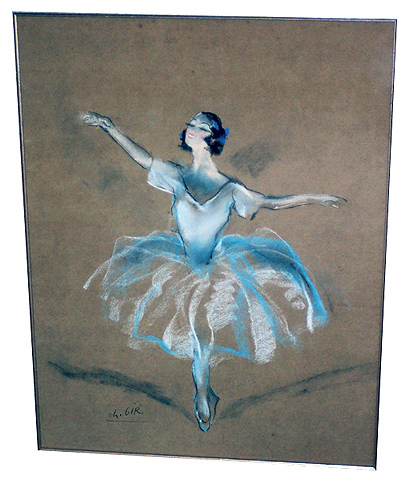 He made many sketches of dancers and caricatures, and at the end of the performances, he would deliver the caricatures to newspapers who had commissioned him. Also, he sculpted a bronze statue of Don Quixote that now stands near the Prefecture of Cergy.